You are here: Home / Paws and their star / Heartthrob for all! Every dog lover would agree that dogs carve their ways into our hearts. They even turn a non-dog lover into a dog lover. Celebrities across the world love to show off their pooch love…pampering them and even making red carpet entries with them. Here we have compiled a few Hollywood and Bollywood celebrities who love their pooch pals, as much as we love them. 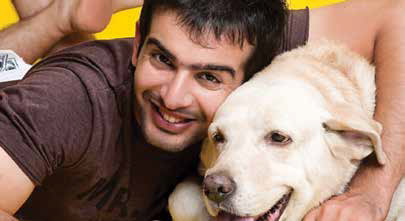 A Bollywood actor, best known for the film Iqbaal, who feels that playing with dogs is de-stressing and joyful. Known for his film Hate Story-2 and TV series Kamayath, Jay feels that dogs do not have mood swings and they are indeed the Man’s Best Friends. Indian Punjabi singer, songwriter, composer and performer, Mika Singh is an avid animal lover. He has a farmhouse for dogs, horses, etc. He feels that dogs are his closest friends as they can gauge his mood at all times. 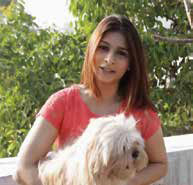 Bollywood actress and theatre artist Tanishaa Mukherjee feels that dogs bring a positive impact at home. Renowned dress designer Nachiket Barve feels that dogs should never be gifted as they are like family members. 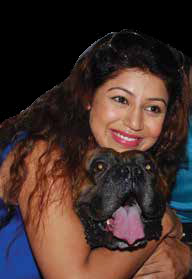 Popular TV actress Debina, best known for her role as Sita in Ramayana, is an avid dog lover. She and her husband Gurmeet Chaudhry provide home to an abandoned Ladrador Lucky, who completes their family. Keeping Up With the Kardashians star Kylie Jenner is blessed with numerous pooches, the latest one being Penny. Oscar nominated British actor Tom Hardy, best known for the film The Dark Knight Rises, loves dogs for their loyalty and sensitivity. Popular Hollywood actor known for her films Mama Mia and Ted 2, Amanda fell in love with Finn, who she once rescued. Now, she can’t imagine her life without him. Liam, yet another popular Hollywood actor known for his blockbuster movies, Hunger Games, The Dressmaker and The Independence Day: Resurgence, rescued two dogs – Tani and Dora. He feels that if anyone wants to adopt a pet, they should go for rescue a dog. 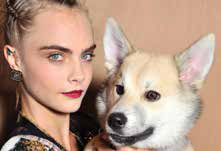 Suicide Squad actor and supermodel Cara recently got a dog to satisfy her maternal cravings. http://www.dogsandpupsmagazine.com/wp-content/uploads/2016/11/Untitled-21.jpg 221 405 Dogs and pups Magazine http://www.dogsandpupsmagazine.com/wp-content/uploads/2017/05/1254nal.jpg Dogs and pups Magazine2016-11-21 15:56:142016-11-21 15:58:48Heartthrob for all!